The Costa Rican Bird Route is a bird-oriented eco-tourism destination. Located in north-east Costa Rica, it was the first project of its kind in all Central America and offers a great variety of birding and wildlife-watching opportunities. The actual route consists of 13 nature reserves within 12 official sites, specifically chosen for their high diversity of birds. The region is also the last remaining habitat of the endangered Great Green Macaw Ara ambigua and is thus the best place anywhere to see this wonderful but rare bird. By visiting the CRBR you are supporting conservation efforts in a region under threat. The CRBR is run by the Rain Forest Biodiversity Group. Check out their website where you will find all you need to know about this dedicated group of conservation, their work and also much to help you plan a trip to Costa Rica. the only English language book on China dedicated solely to wildlife and author Martin Walters has covered a great deal and packs in many tips for the visitor. The book is illustrated by over 300 colour photos by Heather Angel, many of them really mouth-watering. China is not only about the Great Wall, and this book proves it. 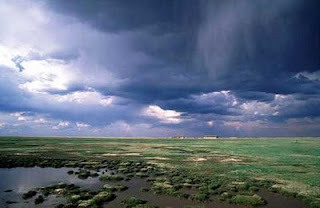 The Hortobagy is a flat region of grasslands, marshes and farmland dotted with large man-made fish-farms in the east of Hungary. This is above all a great birding area with species such as Pygmy Cormorant, Great Bustard, Saker, Red-footed Falcon and Aquatic Warbler breeding. On migration there over 100,000 Common Cranes, 100s of Dotterel and some Lesser White-fronted and Red-breasted Geese. Road 33, from Tiszafured to Debrecen, cuts right through the park and there is a visitor centre by the road in Hortobagy village. With the possible exception of the depths of cold winters the Hortobagy is worth a visit at any time of year. 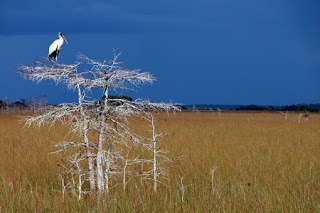 The Everglades National Park lies at the very southern tip of Florida. This vast sub-tropical wetland is a paradise for birds and birdwatchers but also a great place to see American Alligators up close. Visiting is easy as roads into the area are good and board-walks run into some of the swamps and hardwood hammocks. There are also excellent Visitor's Centres at Everglades City, Shark Valley, Flamingo and Homestead, where everything you will need to explore the area is available: maps, books, guides, boat-trips, accommodation info etc. Once in the Everglades it is hard to believe the huge metropolis of Miami is so close. The Orca Orcinus orca (aka Killer Whale) is actually the largest dolphin and not a whale at all. It is one of those animals that everyone has heard of and that few would not want to see in the wild (many have seen them in captivity). 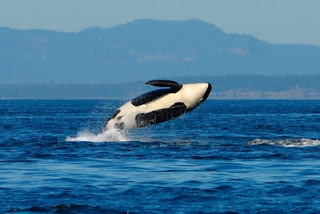 Orcas have a striking black and white pattern and a prominent dorsal fin. They are superb and expert predators, eating large fish, seals, penguins and even other cetaceans. They travel and hunt in family groups called pods and are widespread throughout the colder ocean waters. The Silver-washed Fritillary Argynnis paphia is a superb woodland butterfly which is common in summer (June-August) in the warmer parts of continental Europe. In Britain, however, it is more scarce, only found in some places in the south. They can have a wingspan of 6cm and have a strong, gliding flight. They are often seen in groups and make great photographic subjects, often keeping still when on plants. 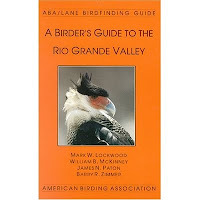 Now in its 4th edition, this excellent site guide is published by the American Birding Association (ABA). Written by four birders with great experience of Texas and its birds, the book contains just about all the information any birder will need to embark on a "do-it-yourself" birding trip to the area. Numerous maps, detailed site information, notes on speciality birds, lists, campground addresses, and all kinds of advice and tips. A Birder's Guide To The Rio Grande Valley of Texas will get you to the best spots and maximise the number of birds you will see. 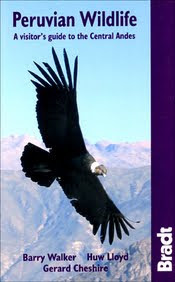 It is available direct from the ABA and from most on-line wildlife and bird book sellers. 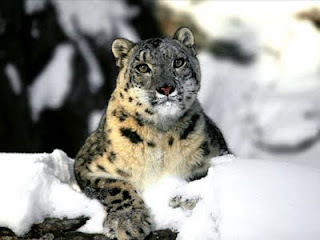 The Snow Leopard Uncia uncia is a secretive big cat that lives in the high, rocky, rugged mountains of Central Asia. It is an endangered species with between 3500 and 7000 thought to be in the wild. Countries where they are found include Bhutan, China, India, Kazakhstan, Kyrgyzstan, Mongolia, Nepal, southern Russia, Talikistan and Uzbekistan. Snow Leopards typically live above 3000 metres (about 9800 feet). They are notoriously difficult to see, though in recent years local guides and researchers in some of the above countries have started to take visitors on treks to track them and observe them. For more on this magnificent animal see the Snow Leopard Trust. For its size (about half that of England) Sri Lanka is incredibly packed with wildlife. There are Asian Elephant, Leopard, Sloth Bear, many exotic birds, a host of curious reptiles and more insects than anyone will be able to take in. Numerous species are endemics, too. No wonder then that Sri Lanka is a popular wildlife destination. 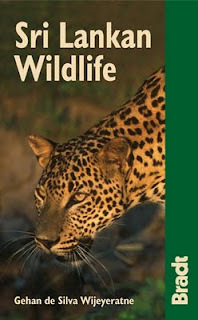 This colourful guidebook (144 pages with 144 photos) is written by acknowledged expert Gehan de Silva Wijeyeratne and follows the usual Bradt format with chapters on Habitats and Reserves, Mammals, Birds, Reptiles and Amphibians, Invertebrates and The Underwater World. There are also sections on Independant Travel, Tours, Photography Tips and more. Lists of books for further reading and conservation societies are particular good. All in all, most of the background and prep reading you will need is here in one handy book that can slip into your hand luggage or rucksack.